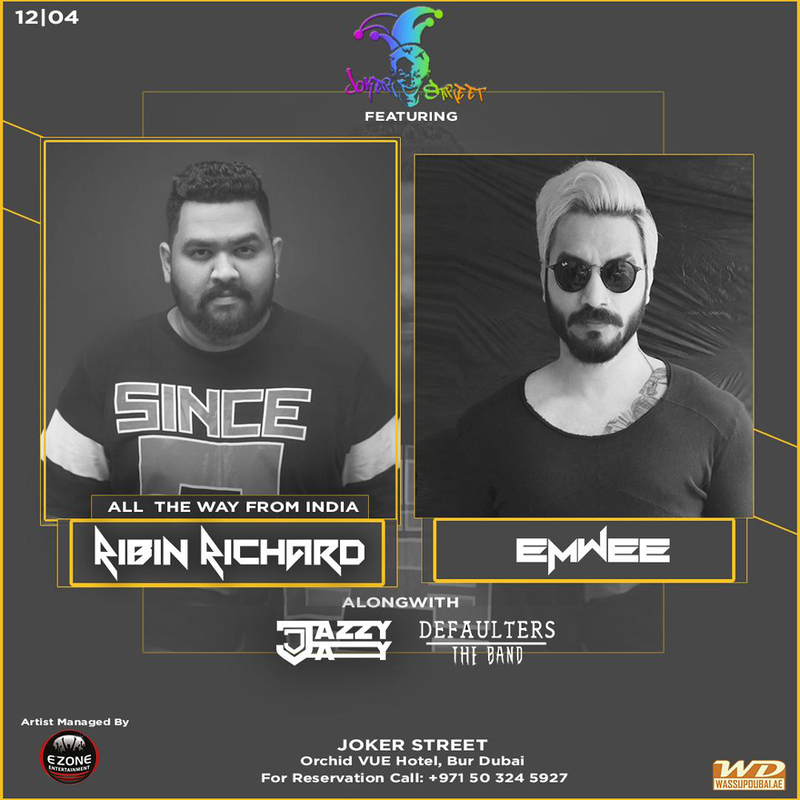 All the Way from India, DJ Ribin Richard spinning along with DJ Emwee on Friday 12th April at Joker Street. Along with DJ Jazzy Jay and Live Performance by Defaulters The Band. For Reservations call 050 324 59 27. Location: Orchid Vue Hotel, Bank Street - Bur Dubai.